Citi has sent out offers to some of its customers. The offers do not offer a bonus, but still get you some extra benefits at no cost. Citi is offering three new bonuses for checking accounts that are available nationwide. You can earn either $200, $400 or $600 with these new offers. I was trying to make a simple purchase with my Citi ThankYou points but Connexions made a complete mess of it and it became a fiasco. Citi has a new offers for new checking accounts that can earn you 30,000 American Airlines AAdvantage miles. 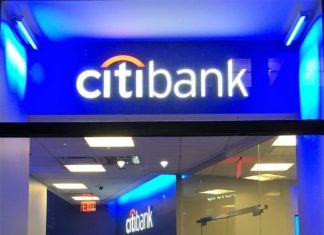 Citi has some new targeted offers for new checking accounts that can earn you as much as 60,000 ThankYou points. The offers contain a unique code, so you must have received one in order to qualify. Citi has an offer for new checking accounts that can earn you as much as $1,000 in cash. This is a targeted offer sent out by email, which comes with a unique code. Citi is sending out new ThankYou spending offers giving 5X bonus points on purchases in categories such as grocery stores, drug stores & more! Check to see if you are targeted and don't forget to activate.